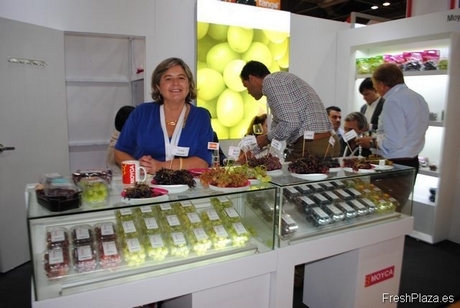 Last week Asia Fruit Logistica took place in Hong Kong. According to most of the stand holders it was a very successful trade show. It did tend to differ from stand to stand on just how busy they were. 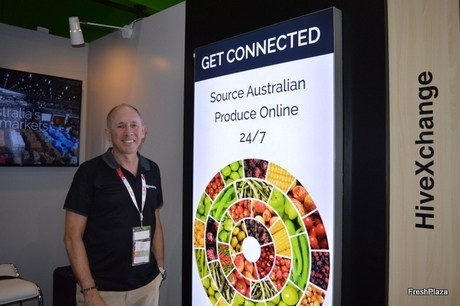 In general the halls seemed less crowded than in the previous year and a few stand holders thought this may be due the China Asia Fruit Logistica which was held in Shanghai earlier this year. There were many familiar faces to be seen, as well as quite a few new ones. The Spanish had a much bigger presence than in previous years as they have new protocol agreements with China and are expecting the market to open for more products very soon. It is a similar story for the Latin American countries who were also out in force. Some promoting products which already have access and others laying the ground work for future export opportunities. There were more Chinese exhibitors and also for the first time ever a British pavilion, which was small but a good sign that the UK is looking towards the Eastern markets. Many companies who had been on their country's pavilions in previous years had their own stands for the time. The current trade war between the US and China was a hot topic, some saying it will be a disaster for their exports, while others saw it as an opportunity to fill in the gaps. The Europeans reported an increase in interest for their produce as it becomes more well known in the Asian markets.